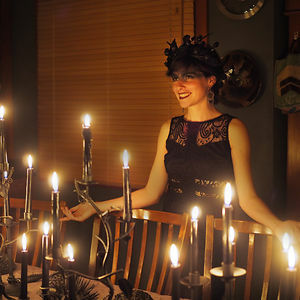 I am known as Miss Wondersmith and I love hosting parties for strangers. I invite my guests in lots of unusual ways, from hiding invitations in public places to sending my social media followers on a treasure hunt! 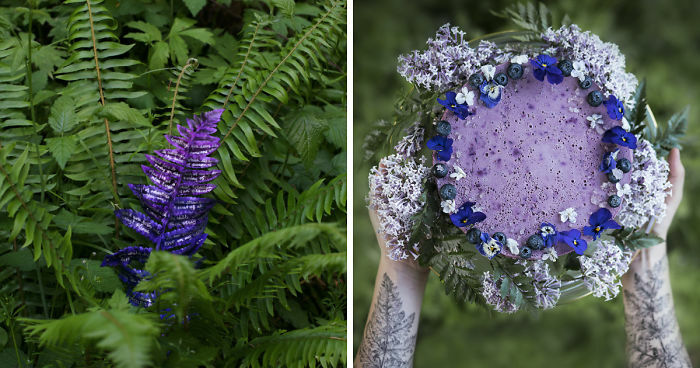 My gatherings are inspired by the natural beauty of the Pacific Northwest and I consider every aspect of the experience, from the handmade glass and ceramic dishes I create to the feasts made of foraged plants to the ceremony and structure of every event. This is my way of making the world just a little bit brighter. By creating experiences that could have walked out of the pages of a fairytale, I am showing others that it’s okay to believe in magic because it really does exist! The best way to find wonder is to create it, and I love doing exactly that. 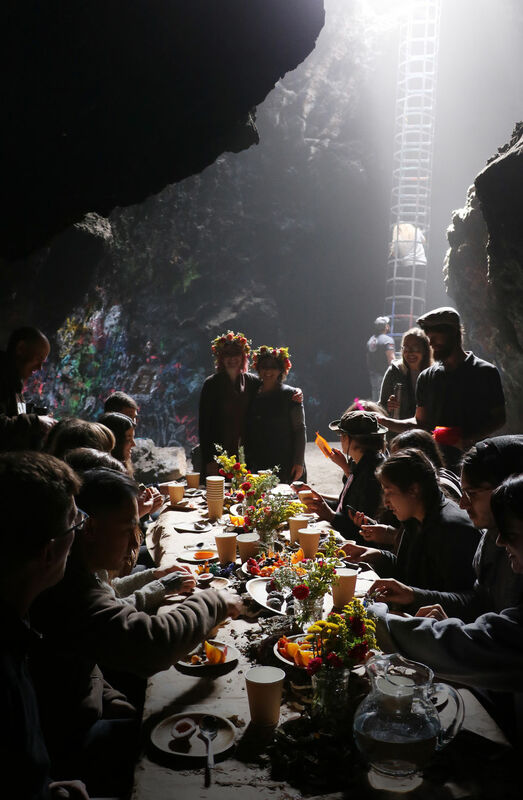 I hid eggs with invitations inside them along the trail for hikers to discover, then we gathered above the sapphire waters for a feast of cakes and other treats baked in real eggshells and served in handmade glass bowls filled with feathers. Guests earned their place at the table by submitting a love story in 10 words or less. 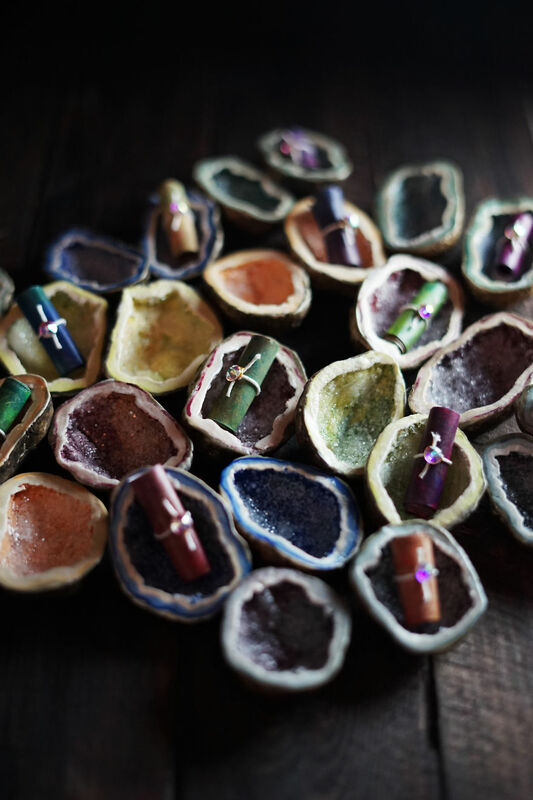 We gathered in the sunlit sagebrush to enjoy brunch, a discussion about expressing love, and to create our own ceramic keepsakes to gift to someone else. I made confectionary mushrooms flavored with foraged plants for the guests to “hunt” out of gnarled roots and mossy settings. I even made my crown to celebrate the ocean’s wonders. I couldn’t resist jumping in for a chilly swim. We dined on a feast of wild plants, served out of glass and ceramic dishes on a porch transformed into a wooded wonderland. 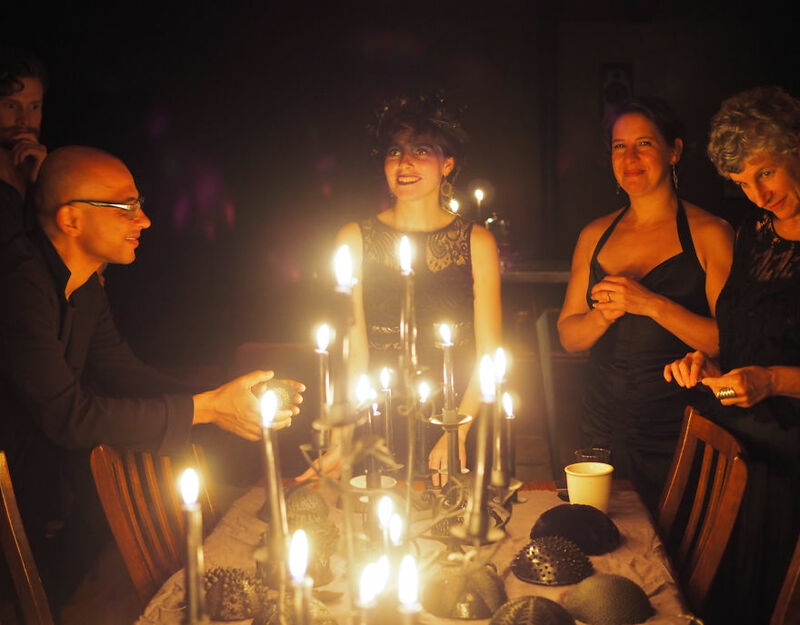 The hikers that were curious enough to investigate were rewarded with an invitation to a magical all-purple party. I posted a treasure map on my Instagram with clues hidden all over the city. Those who completed the hunt were able to attend an ice cream party with an interactive installation of glass and ceramic barnacles and share stories about their own favorite childhood memories! It was a gathering to talk about embers as a metaphor for something you must choose to bury or fan back into flames. 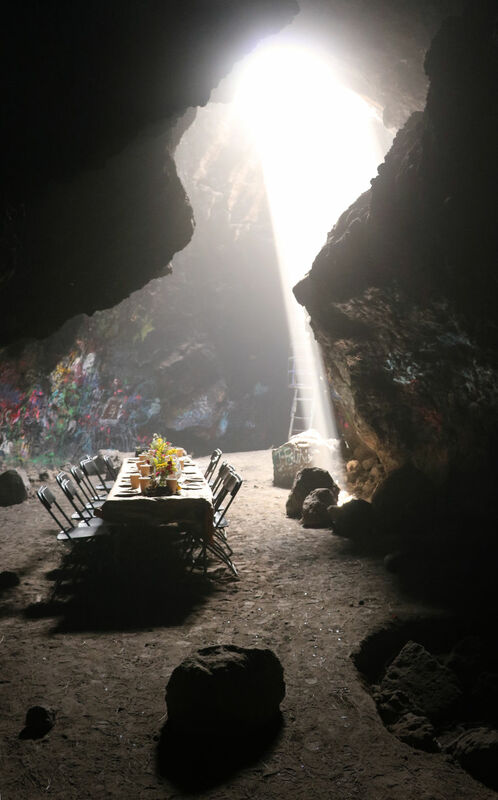 We dined on foods that looked blackened and charred (but were actually delicious) and shared our own struggles and triumphs with the other strangers gathered there. This is innovative and quite incredible! I love the idea. And the places look magical! AMAZING! I would have loved to have attend one! I'm hoping to have a magical get-together with some friends at some point, because we're all stressed with school, and invitations in geodes are such a cool idea! Did you use a tutorial of sorts? I still do them regularly! :) I didn't use a tutorial for the invites, just sculpted them myself! I'm also a ceramic artist so that comes in handy when creating tableware or projects with clay. I hope you're able to have a magical break in your studies! Good to know! Thanks for responding, I might have to look in to making some. Have a good night!